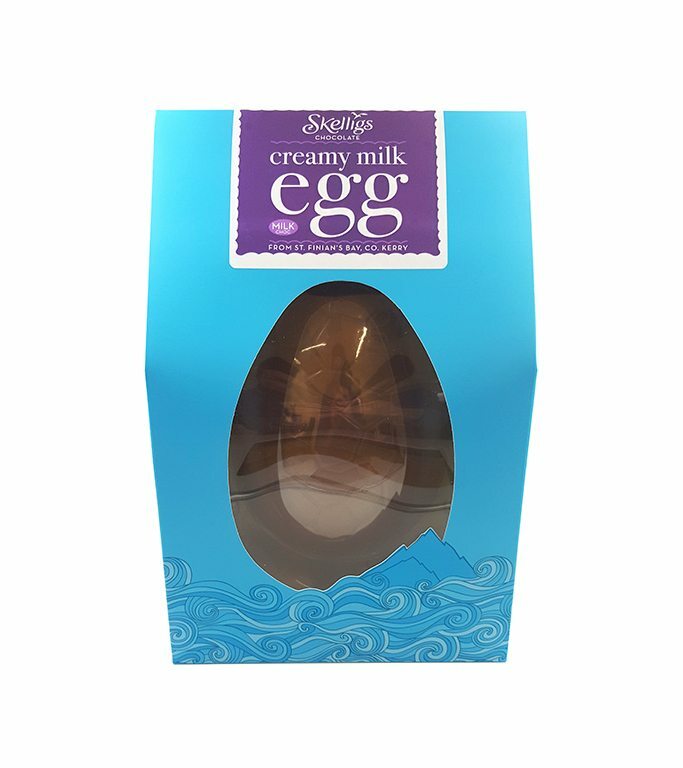 Handcrafted Milk Chocolate Shell Egg made with creamy milk and premium quality chocolate. These delectable Shell Eggs are the ideal treat this Easter. Premium Orange Oil mixed with delicious creamy milk chocolate and added sugar nibs for a mouthwatering crunchy finish. 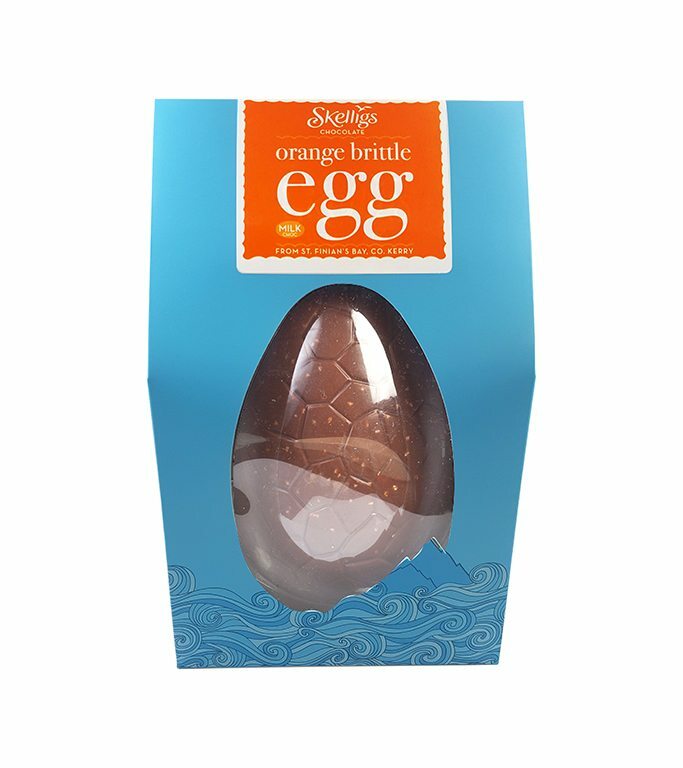 Make your Easter crunchier this year with Skelligs Milk Chocolate Orange Brittle Easter Egg. 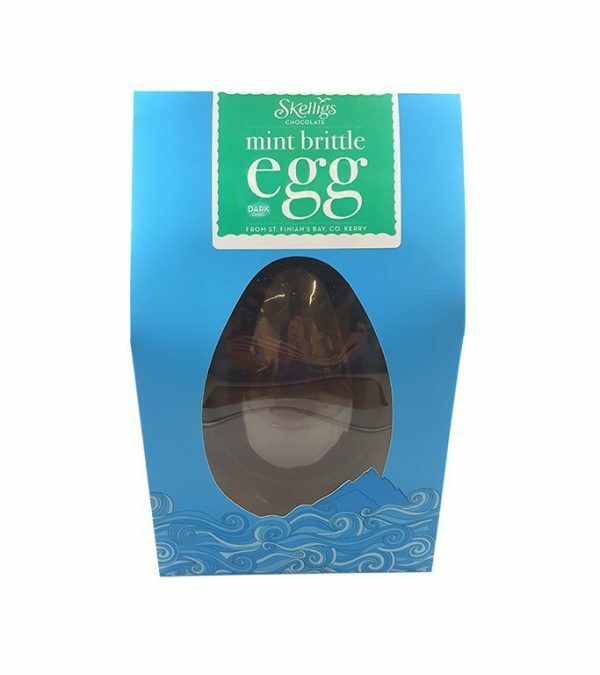 Handmade Egg Shells prepared by mixing creamy dark Chocolate (54%) with premium mint oil and added sugar nibs for the crunchy finish. 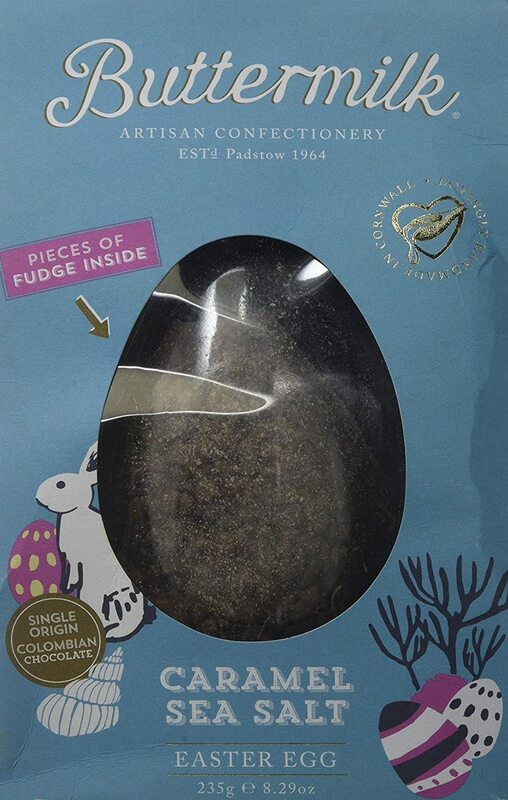 Specially made for the Dark chocolate lovers for their Easter treat. 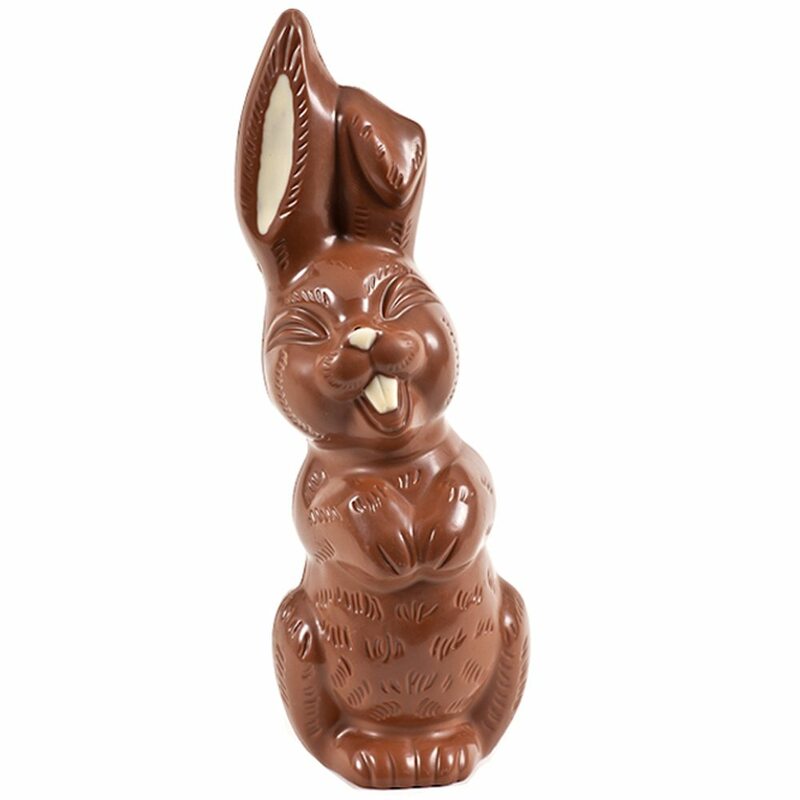 Bunny shaped milk chocolate assortment, made with all natural ingredients, is an ultimate gift for kids and for the child inside you. 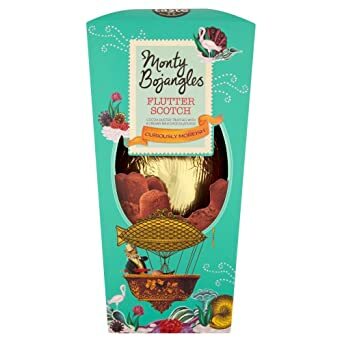 Luxurious milk chocolate egg made with 100% natural ingredients, along with curiously moreish Flutter Scotch Truffles. Add a touch of indulgence to your Easter. 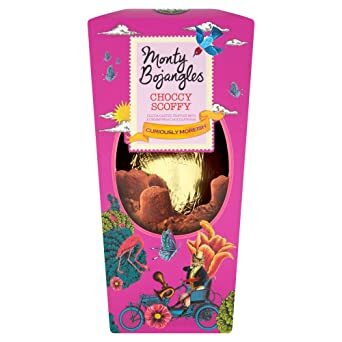 Milk Chocolate Egg packed with Moreish Choccy Soffy Truffles is a perfect gift to share with your family and friends. 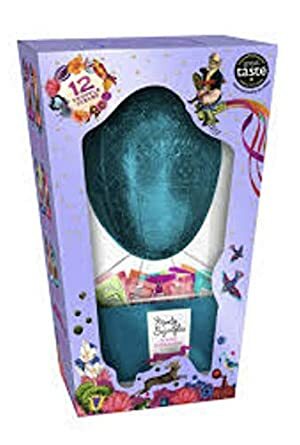 Hollow Milk chocolate egg packed with an assortment of French cocoa dusted truffles including Choccy Scoffy, Orange Angelical, Pistachio Marooned, Berry Bubbly, Popcorn Carousel and Flutter Scotch. Perfect Easter gift for everyone. Gluten Free Milk Chocolate egg adorned with Butterscotch filled with pieces of Caramel Sea Salt Fudge. Handmade in Cornwall by craft confectioners using traditional methods is a perfect gift for the Caramel lovers out there. 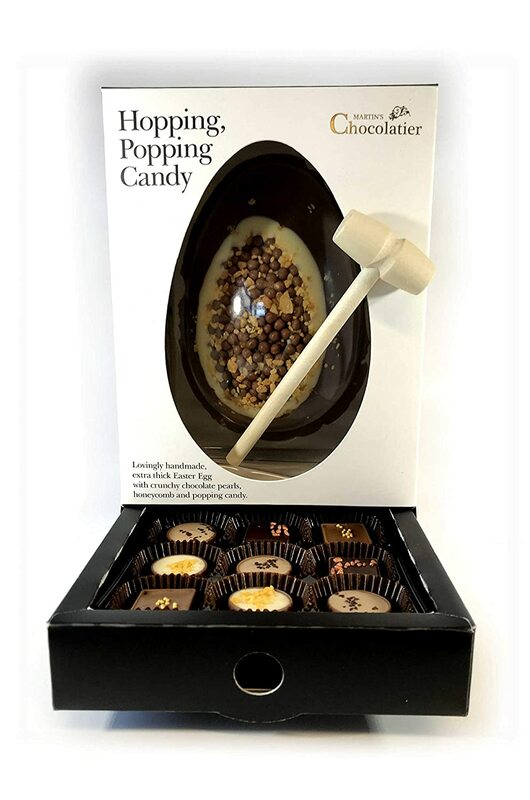 Martins Chocolatier Thick Luxury Easter Egg sprinkled with copious amounts of Popping Candy, Crunchy Chocolate Pearls and Honeycomb, set in a White Chocolate Halo. Also Includes Nine Mini chocolates made using finest quality chocolate in UK.